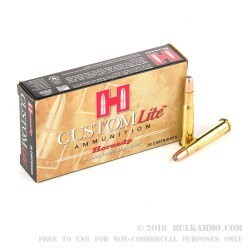 Hornady’s Custom Lite line of ammunition is great for first-time shooters or anyone looking for less kick. Designed for the petite or beginner shooter, the Custom Lite like has a reduced recoil load and allows for more time at the range or in the field. 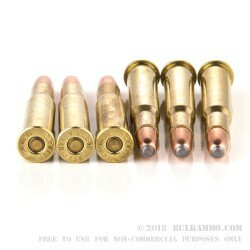 These rounds have grooves internally that weaken the top of the jacket to provide for better expansion even at long range and improve terminal performance. An Interlocking Ring keeps the bullet from separating too soon to make for better penetration on impact. 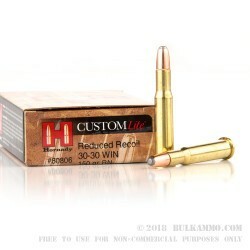 Great for deer or other similar game, these .30-30 shells are perfect for your brush gun this deer season. 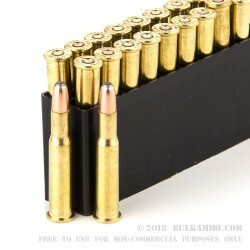 Loaded with 150-grain Interlock Round Nose projectiles, into boxer-primed, noncorrosive, reloadable brass cases, these rounds are capable of a muzzle velocity of 2100 FPS and include 20 rounds in each box. At the forefront of ammunition technology, Hornady has become a world leader in ammunition production. Beginning as a reloading supplies company, Hornady has become an American ammunition institution, producing some of the most reliable and accurate ammunition on the market.